Greetings comrade! Thanks for talking with us about your process today. Can you introduce yourself in a way that you would choose? I’m Jay Besemer. 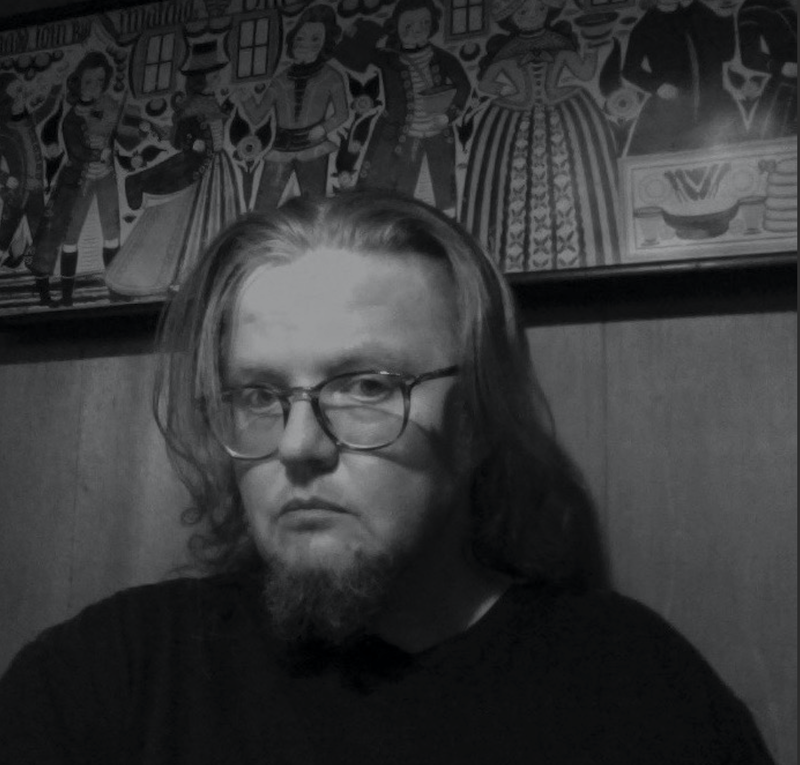 I’m a trans, queer poet disabled by multiple systemic chronic illnesses, currently leaving my 40s. I have a cheeky answer for this, which I’m going to use here: I’m a poet because poetry is the only vehicle that allows me to simultaneously occupy all possible dimensions. When did you decide you were a poet (and/or: do you feel comfortable calling yourself a poet, what other titles or affiliations do you prefer/feel are more accurate)? In many ways “poet” is the only thing I’m really totally comfortable calling myself. Everything else I am is always in addition to — or a mode of, perhaps — being a poet. I think it was always there, a way of being in the world & processing that experience, long before I claimed it as an action I committed to taking for the duration of my life. I have a hard time answering this question consistently, & can’t answer for anyone else, can’t be prescriptive. So understand this as only today’s, this-moment answer, from a highly unusual individual. Simply, a poet makes poems. That is, poems result from the experiences of existence, but I don’t necessarily differentiate between the existence/experience & the result/product when I use the word “poem.” A poem need not be words. It’s just that most people are accustomed to poems occupying a language body, accustomed to interacting with poetry that way. What is the role of the poet today? This is a question I can only answer for myself. I am often excluded from other people’s answers because of the limits of my own physical situation & by virtue of my own poetics. I try not to be a gatekeeper for others’ work needs. What do you see as your cultural and social role (in the poetry community and beyond)? I’ve been shown by others that younger trans, queer & GNC poets are finding value in my work. Increasingly poets with chronic/mental illnesses &/or who are also trauma survivors are letting me know that I’m being of service to them. This is important & unexpected, because I was under the radar for some decades, & did not have the experience of feeling I was able to be of service, or of feeling that I had any audience whatsoever. In terms of the immediate poetry community here where I live, my role has had to change quite recently. Poetry events in general are notoriously inaccessible for disabled people, but even most mobility-accessible or Deaf/HoH accessible events are specifically inaccessible for me because of the unusual (apparently) conflux of my health, sensory, pain & fatigue conditions. At this time, I am rarely able to participate in person, either as performer or as audience member. I observe a great interest among young poets in some of the poetry series I used to be deeply involved with, so I feel they’ll continue in some way, without my involvement — I can let go, & grieve my own loss of these as means of connection. But as to what I can contribute now, I am still asking that myself. I feel like the only thing I can do — & that not even consistently — is be, & make the work, & get it out there sometimes. That has to be enough, though the poetry/activism culture tends to frame that as inadequate. This framing is deeply classist & ableist, of course, but it’s still a tremendous obstacle to recognition & validation of many kinds of poetic labor. Lately I’ve been speaking out on that, too, primarily on Twitter. One somewhat behind-the-scenes thing I do is to quietly make use of my contacts to connect newer writers with opportunities to publish. I do this in large part because nobody did it for me, & I worked hard in relative isolation for 25 years before my first book was published. (I was 43 at the time). I know how demoralizing that is. Again, classism! Ableism! Talk about the process or instinct to move these poems (or your work in general) as independent entities into a body of work. How and why did this happen? Have you had this intention for a while? What encouraged and/or confounded this (or a book, in general) coming together? Was it a struggle? I’m not sure how to answer these questions given my overall poetics/working process. But I’ll talk towards the becoming of The Ways of the Monster. I have been referring to this book as the third in a trilogy that began with my first book, Telephone, continued in my third & best-known book Chelate, & now wraps up with Monster. Originally it was formatted according to the practice I used in the other two volumes; while I was revising it for possible publication I changed that, feeling I had exhausted the purpose of the formatting & was in danger of it becoming too associated with my work — like typecasting. I didn’t want something that had a deeply functional, personal purpose to become reduced to “style,” or worse, to be described as “my” style. A previous version of the book had been a finalist in 2016 for the 1913 Press Open Prose period, so as I revised for that submission process I made the switch from the fragmented swarm of old into a movement in & out of declarative sentences. This was also a response to the changes in my embodiment/movement-through-the-world at the time of its writing. Though the books in the trilogy have not been published in a direct sequence (each has been separated by a book from a different project), they were written continuously & separated into volumes at various stopping points. 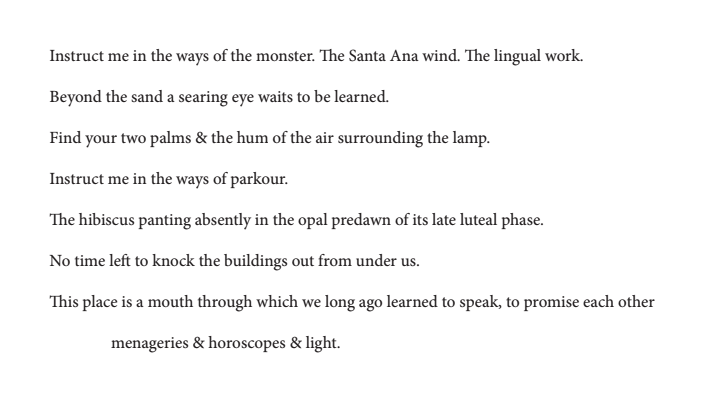 As my experiences of my bodymind (to use Eli Clare’s great term) & its relation to the world/cosmos changed, I had to change the way that came to language in my work. You can see it through the three volumes: Telephone embodies the back-&-forth swing of the time I was weighing the need to make deep changes to save my life, against my fear of doing so. (This may not be plainly spoken in the content of the book, but believe me, it’s there). That was the manifestation in language of my experience in/of the world at that time. The fragmented, synesthetic, interconnecting endless sensory barrage of Chelate was reflected in the preservation of the textual format, without the dialectical (or feedback loop) movement of Telephone. But by the time Monster came to be — roughly two years after the writing of Telephone — my experiences were radically different. I was well under way in my gender transition. I was treating my chronic & mental illnesses. My body was constantly changing (& still is), but by then I’d moved out of a mode of living where I felt I must justify myself, or apologize/explain what I was, why I was myself, what made me this way. I was ready to take up space, to declare, to claim my experiences as important, as mine. What formal structures or other constrictive practices (if any) do you use in the creation of your work? Have certain teachers or instructive environments, or readings/writings of other creative people (poets or others) informed the way you work/write? Some of my work is sourced (cut-up, collaged or erasure work) so there are limitations to them. Generally an erasure project is limited in length by the length of its source text. I use text automation or generation programs/methods, like Markov text processors, & I have ways of misusing word processing/”productivity” apps, & other things like online forms, to generate unplanned texts. But this is not the only way I work. Monster was not constructed this way, nor were the other two books of the trilogy. The most influential people in my worklife have been my poet/artist friends. Additionally I have benefited from relationships with people in other disciplines, mostly in the sciences. I also owe a lot to certain actors, whose work has deeply influenced my life & my own work, but who have not all come into my life physically. I have made various attempts to list the most direct influences on my poetic practice over the years. Each list is different, but at the top of all of them there’s always Tristan Tzara. So I’ll leave him there. Speaking of monikers, what does your title represent? How was it generated? Talk about the way you titled the book, and how your process of naming (poems, sections, etc) influences you and/or colors your work specifically. 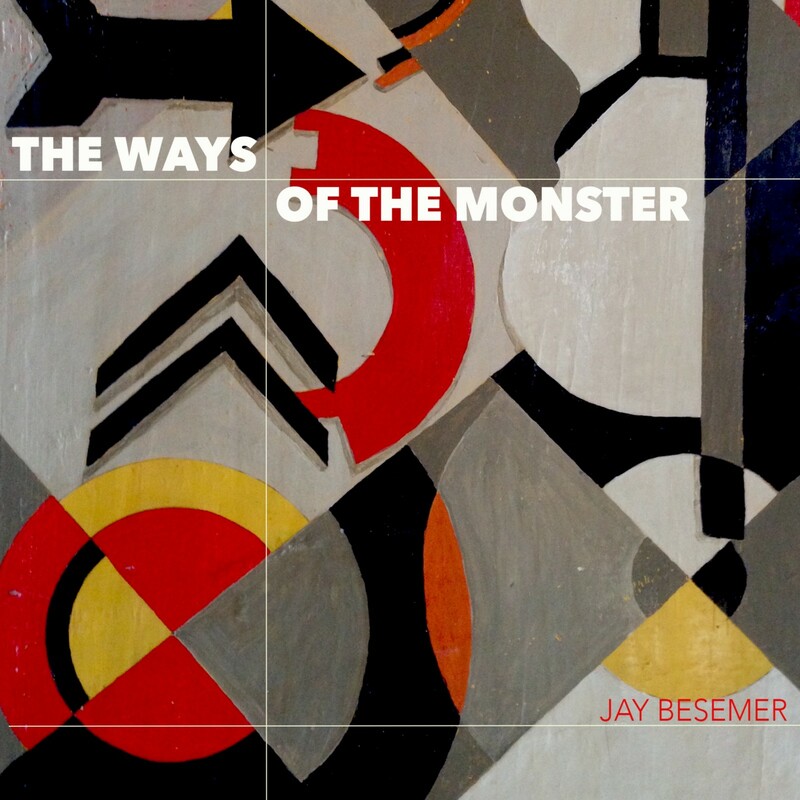 The Ways of the Monster is titled from a line in one of its poems. This is typical of me; I’m a haphazard titler. In fact I resist titling individual poems for certain projects; this book is one of those, in keeping with the other two in the trilogy. I do seem to be a fan of section titles, though! I guess we have to have some way of navigating within a book, no matter whether we made the book or are experiencing it. I know a lot of books have “monster” as their ethos right now. For many people, especially Black/Brown, trans &/or disabled people, the monster concept is difficult to process; it’s been weaponized against us for so long, of course it’s toxic! So in the book as well as its title, “monster” is used ironically & politically, much as the word “queer” is on a larger scale. For an idea of how I’m using the word, look at its context in the poem. I also ask the unnamed interlocutor to teach me the ways of the Santa Ana wind, & of parkour. It’s not possible for me to enact either of these ways, no matter how well I might be instructed! However, I have behaved monstrously, in the past; I don’t need to learn how to be a monster. My monstrous past behavior reinscribed the experiences that activated my illnesses, so I’m slowly & compassionately unlearning the ways of the monster. Call it a medical application of the word. An unweaponing. What does this particular collection of poems represent to you as indicative of your method/creative practice, history, mission, intentions, hopes, or plans? I think I’ve mainly answered these already. I could add that it’s a book that represents closure on one period of my life & acts as an atrium or a clearing where both reader & I can rest before proceeding into the work that comes from the current phase of my life. What does this book DO (as much as what it says or contains)? Some of this was explored in other answers; in some ways I can’t answer the question as well as someone who doesn’t know what it took to write it. I guess I need to see what it does out in the world! What would be the best possible outcome for this book? What might it do in the world, and how will its presence as an object facilitate your creative role in your community and beyond? What are your hopes for this book, and for your practice? I don’t like to speculate or load down any project with those kinds of projections. What it does isn’t up to me. It’s up to readers. Especially now that I am unable to bring my body to bear in the physical spaces my books occupy, I feel there’s already significant pressure for them to perform in ways I can’t. Maybe that’s true of all books, though. I do hope someone gets relief, reassurance, validation, new ideas, energy from reading The Ways of the Monster. I hope it saves someone from feeling alone & abandoned in a punishing world. That’s all I can say. (forthcoming The Lettered Streets Press, 2019), Crybaby City (Spuyten Duyvil), Telephone, Chelate (both Brooklyn Arts Press), and Aster to Daylily (Damask Press). He was a finalist for the 2017 Publishing Triangle Award for Trans and Gender-Variant Literature. He tweets frequently @divinetailor and can be found at www.jaybesemer.net.